AC Milan are reportedly considering Diego Godin and Stefano Sensi to bolster their defensive and midfield options respectively next year. The Rossoneri are currently looking to break back into the top four in Serie A in order to qualify for the Champions League next season. That pursuit hasn’t been helped by their current injury crisis, with Alessio Romagnoli, Mattia Caldara, Mateo Musacchio, Lucas Biglia and Giacomo Bonaventura all facing lengthy spells on the sidelines. While they could be tempted to make signings in January to address that in the short-term, it’s suggested that they could be lining up a double swoop next year. According to Calciomercato, Atletico Madrid stalwart Diego Godin is a target for the summer, with his current contract with the Spanish giants set to expire at the end of the season. Man Utd have also been paired with an interest, as per the report, and so it remains to be seen whether or not Milan can persuade him to start a new challenge away from Atleti and make the switch to Italy. Although Godin turns 33 in February, he remains one of the finest centre-halves in Europe and would add real leadership and experience if he were to join the Italian giants. Elsewhere, La Gazzetta dello Sport report on a possible transfer derby between Milan and Inter developing over Sensi, with the former potentially accelerating their plans due to the injury crisis noted above. The 23-year-old has made a positive impression for Sassuolo so far this season and has been a regular for the last two campaigns. 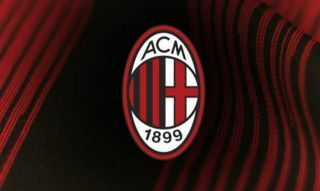 Whether or not he’s the solution that Milan need remains to be seen, but based on the report, it suggests that the Rossoneri are interested and could swoop in the New Year.